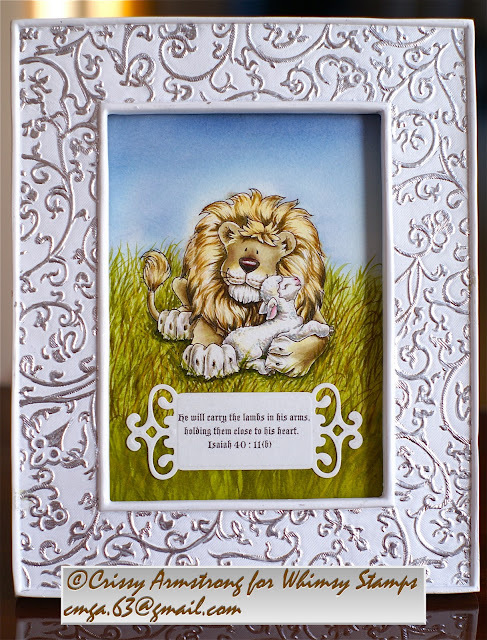 I am pleased to show off the picture I painted for my nephew's new baby! She was just born last week and is so tiny! I hope they keep this in her room to remind her that God's loving arms are always around her. I used Lion Hugs, a digi image I created for Squigglefly. I printed it on Canson 140 lb water colour paper, and water-coloured it using mostly Distress Inks, and a couple of Tombow pens. I relate to being the wee little lamb in God's big strong arms. I find that to be a comforting thought. I printed the Bible verse onto water colour paper too and used a Spellbinders Fancy Tag die to cut it out. I have this posted on my challenge blog in keeping with the "Love" theme for this month. Why not go and check it out! You still have til the end of Feb to join in, and I'm offering five digi's to a random challenge player! Find details HERE. Congratulations Mimi! You are number 8 and you have won the blog candy prize!! Contact Denise of Whimsy Stamps with your mailing address and she will get those out to you! Thanks for playing the hop! Release Party! New Rubber at Whimsy! 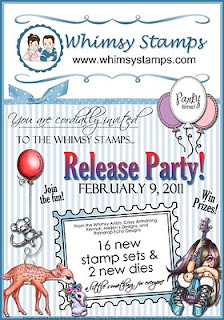 Hello and welcome to the Whimsy Stamps February new rubber release BLOG HOP! 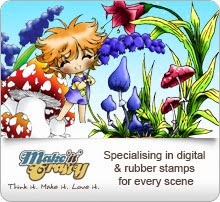 We have 16 gorgeous new Whimsy Stamps plus 2 new fantastic dies to show you today! These new goodies are available to buy right now from the Whimsy Stamps store along with all your Whimsy favourites. We also have our wonderful special guests joining us for this hop - Beate Johns, Deb Routledge, Chris Dark, Jacque Beddingfield, Tracy Payne, and Elaine Hughes! The Whimsy Stamps DT have been sneak peeking these fabulous stamps for the past 5 days, so if you missed them be sure to hop on over to the Whimsy Inspirations Blog for some more fabulousness! 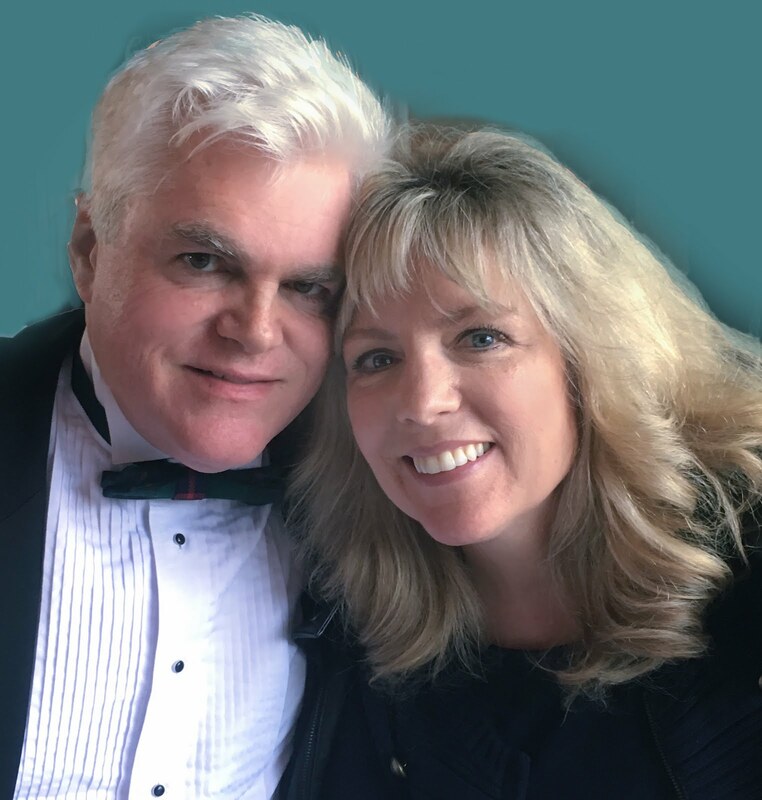 If you would like to participate in the hop and you didn't arrive here from Beate's blog, please CLICK HERE to return to the beginning of the hop at Chris's blog. The hop starts today (Wednesday February 9th at noon EST) and ends on Wednesday February 16th at noon EST. For my blog hop creation I used "Smell The Flowers". 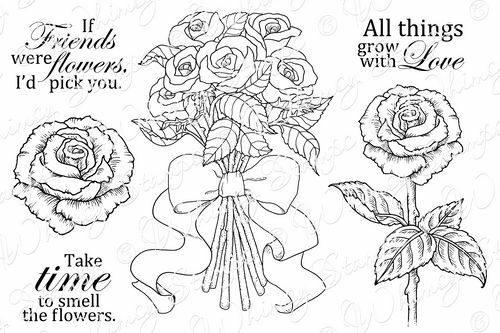 The sentiment is by Ann and is found in the "Fragrant Rose" set. The images are cut out and popped up. You can see how the B41 I chose was a bit too dark for the airbrush system. With the darker colours, it warns you that you may get little particles of colour showing, which is exactly as you see here, in the little specs of blue. Oh well, live and learn. It is also really challenging to make it look non-blotchy or streaky! I salute all you ladies out there who have used it to make seamless backgrounds! I'll get there some day! 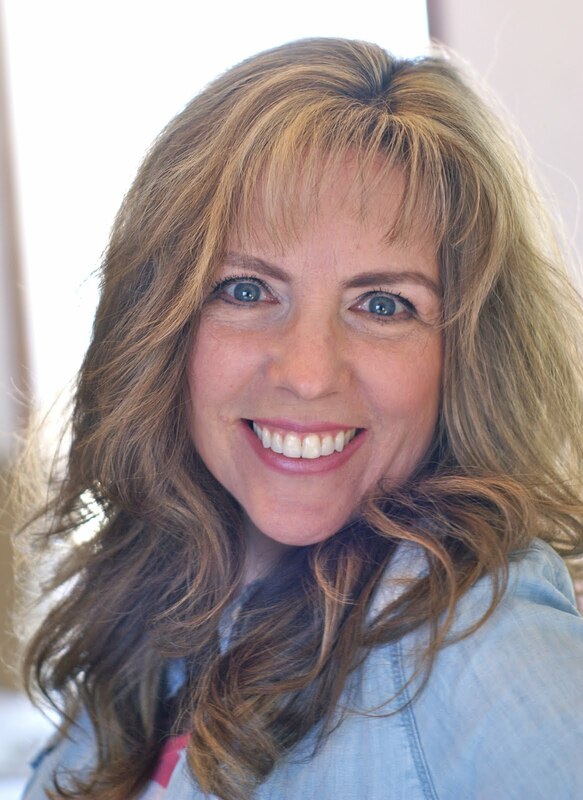 So now it's time for you to continue the hop by hopping on over to Simonne's blog.